Mumbai/Los Angeles, Dec 5, 2016 – History is about to be made courtesy the efforts of possibly the most brilliant visionaries in the music and entertainment business – Simon Fuller. The man behind formats like American Idol, Pop Idol, Indian Idol, So You Think You Can Dance and of course the guiding light behind building talented brands like the Spice Girls, Amy Winehouse, the Beckhams among others is set to give the world it’s first ever GLOBAL POP BAND courtesy his property titled “NOW UNITED”. The pop band search spans countries like Japan, Korea, UK, USA, Brazil, Senegal, Mexico and of course India. The search is for an Indian boy or girl who has the talent, looks and passion to represent their country in a brand new global pop group created by one of the most powerful men in Hollywood. Talking about his thought behind Now United and what his plans are for the talent hunt and then the band, Simon Fuller, Founder/CEO, XIX Entertainment says, ““NOW UNITED is a new approach to pop music. It’s a group that you can not only follow but you can actually join and interact with. They will be the ultimate celebration of music, with a vibrant optimistic spirit that will make the world want to sing and dance”. Participants – between the age of 16 and 19 years need to be able to sing and dance, have a passion for performing with an attitude that demands entry into a dynamic, interactive global pop group. a song of the judge’s choice. Simon Fuller is one of the most influential forces at work in the global entertainment business today. 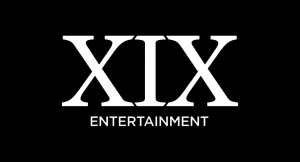 The founder of XIX Entertainment, he’s best known as the creator of TV blockbuster American Idol although he spent his formative years as a music manager, discovering talent and breaking new ground at the cutting edge of pop culture. Certified by Billboard as the most successful British manager of all time, the stars guided by Fuller – Annie Lennox, Kelly Clarkson, The Spice Girls, Amy Winehouse, Carrie Underwood and others – have amassed 500 No.1 singles and 240 No.1 albums around the world under his watch. In 2011, Simon was honored with a star on the Hollywood Walk of Fame, one of only a handful of British producers to have been celebrated by the Hollywood Chamber of Commerce. Fuller’s interests today include the ownership of commercial ventures with iconic sportsman David Beckham and award-winning fashion labels run by Victoria Beckham and Roland Mouret, while his sports business has brokered deals for F1 world champion Lewis Hamilton, Tour De France winner Sir Bradley Wiggins and ATP No.1 ranking tennis champion Andy Murray. In 2016 Fuller announced a new partnership with pop superstars ABBA to create a virtual reality experience that is set for launch in 2018. Simon Fuller has a lifelong commitment to good causes including Greenpeace, Amnesty International, Save The Children, The Prince’s Trust, Malaria No More, The United Nations Foundation and Comic Relief.